Well as we embark on a new year, I thought I’d close the doors on 2016 as it was a very eventful year for myself and my practice. One year ago I blogged about some initiatives I wanted to take on for my practice. I called them the Double-T! I wanted people to hear my voice more in 2016 and I think I did a good job making my voice heard. The big accomplishment for me was my weekly live streaming “show” I did on Periscope, Stock Talk, where once a week I put myself out there and offered commentary, observations on various investment happenings. My goal at first was to broadcast 2 episodes a week but quickly that became difficult to work in so I settled for at least doing one episode per week. Well to my surprise I was able to crank out 57 episodes! I don’t think I got a lot of live looks but I’m really proud that I was able to stick with it. I hope to continue it into 2017 although I don’t know how it is going to look given that Periscope is becoming more embedded with Twitter. We’ll see. Also I wanted to reach out and talk with other people through podcasts. In 2016 I was able to appear on several podcasts and I hope to continue on with it…if anyone is willing to listen to me. One of my big goals for 2016 was to take my teaching program and put it online so it can reach a much larger audience. I spent a good time recording and editing my courses and finally in Summer, I was able to role out my Everyday Investing online courses and later in the fall my online course, How to Invest in ETF’s. Again I’m really proud of how I put it together. The initial responses have been great with a common theme of how easy it is to follow and grasp the concepts, which is exactly how I wanted to project the learnings! These were two goals I really wanted to follow through on in 2016, and I am so excited that I have been able to pull it off. The next job will be to let the world know about it! I hope to continue building on the above successes and build an audience and community of investors who are looking to become more educated, empowered, engaged in investing. I'm hoping to continue with the live streaming episodes of Stock Talk, although it might not be on Periscope as it seems like Twitter is slowly collapsing the platform onto its main site which may make it difficult to archive. We'll see what happens but at the end of day, you'll always find all the episodes on the Sage Investors website. The technology today is amazing. A year ago I didn’t realize how advanced we are in terms of online education. Now I’m teaching people how to invest online! To further up my game in the speaking area, I’m planning to deliver a bunch of live online webinars throughout 2017 on a variety of investing topics. Oh I forgot to mention...they will be free! This is totally new territory for me so I have no idea how this will play out, but I’m game to give it a shot and see if people find value in it. There are tools out there that can facilitate this kind of presentation, and communication so I’m hoping to leverage them more this year. In fact, my first webinar is already ramped up and ready to go! On January 26th from 1-2pm EST, I will be delivering a webinar on Demystifying RRSP’s and TFSA’s. I always get a lot of questions about RRSP’s and TFSA’s and given we’re heading into another season where we will be getting blitzed about not saving for retirement, I thought it would be a good time weigh in and provide people with important information about these glorified piggy-banks and to issue a call to action! If you’re interested, you can click to our registration form and sign-up (space is limited to 50 participants). I'm hoping to deliver one live webinar session each month, so if you want to find out what topics are coming up the best way is to sign up for our In The Loop weekly email newsletter, where you can get the scoop on our upcoming blog posts, live streaming episodes of Stock Talk, webinars, podcasts (wait did you say podcasts? Shhh!) and oh yes other interesting things I'm observing in the markets. I'll be honest, I'm not much of a book reader. Never have been. What is especially stark is that I haven't read many investing or finance books since my university days. I spend more time reading analyst reports, annual reports, and financial statements. Twitter has made it worse. I used to read more magazines from cover to cover. Now I read snippets of articles. For many years now I've been building up a pile of personal finance and investing books on my shelf that I've received from colleagues. I thought maybe I need to dig through some of these and offer some takes as I know they offer very sound and practical nuggets of wisdom. As I write this I am getting flashbacks of my Primary school days where we had to write book reports every month. 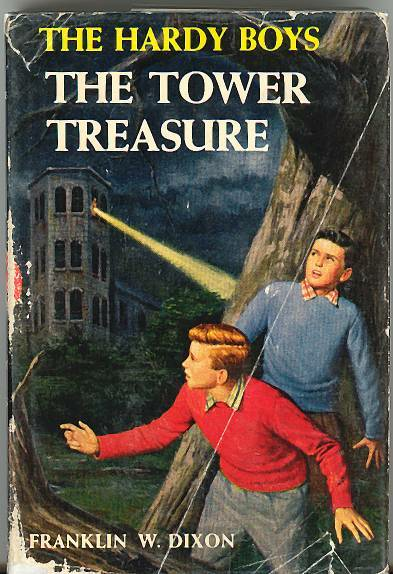 Oh those Hardy Boys and C.S. Lewis books! So yes in 2017, I'm going to try and read more books and talk about them and while I don't think I'll write any reviews or book reports, I will offer my takes and insights in a video format, so be on the look out for my video book reports! So lot's to do and lot's to look forward to in 2017. I'm ready to go hard at it. Feel free to come along and let's up your investing game!